"Over recent years racing rigs and steering wheels have improved no end. 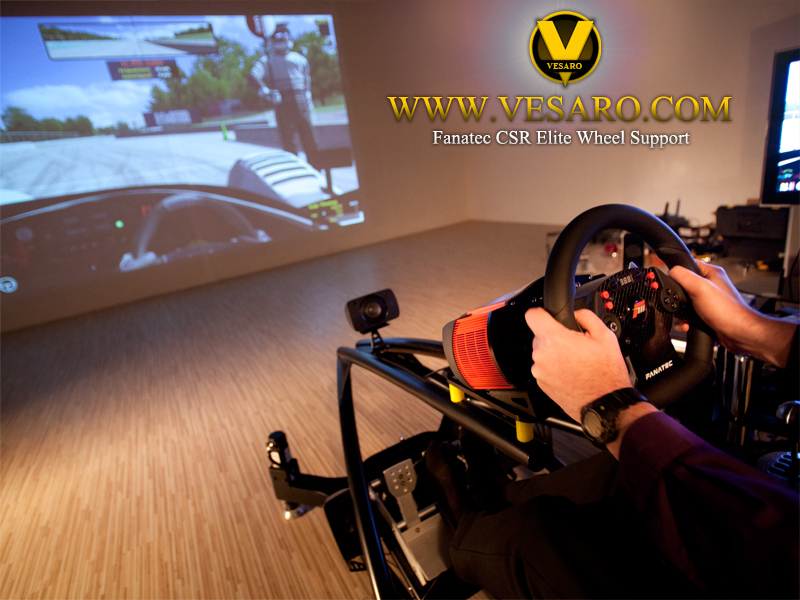 Now Vesaro are entering this competitive market and intend to raise the bar on the premium end of the spectrum. Inviting me to their studio I play on one of the prototype models and get a feel for their initial rig with full D-Box and Buttkicker intergration. Suffice to say it's a powerful and effective experience, the heavy duty contruction combined with high quality wheel and Cobra racing seat make for an authentic and rough ride with the seat offering up to 2-g's of force. A lot of fun and certainly one for iRacing fans. " 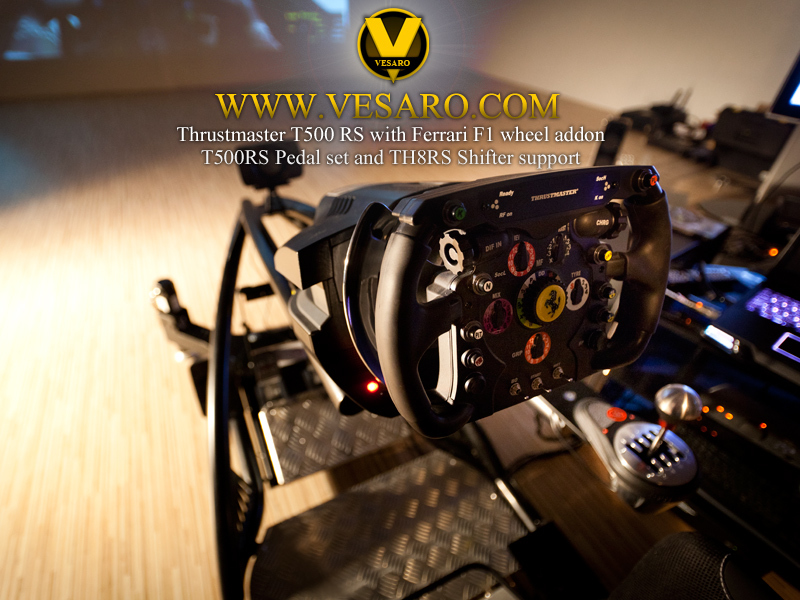 Check out this photo of the Thrustmaster T500RS wheel with the Ferrari F1 wheel add-on, T500 Pedal set and TH8RS shifter in use on our black motion rig, all fully supported and with pre-drilled holes for all three parts.